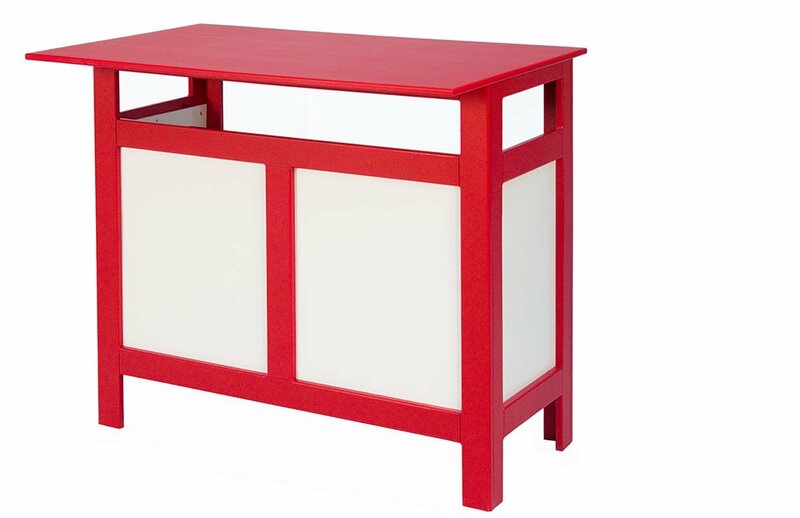 Solid recycled plastic bar with 2 full shelves. Front overhang allows for chairs or stools in front. Recyled plastic dining chair goes with 48" square table and pedestal table. Available with muskoka or mission back style. 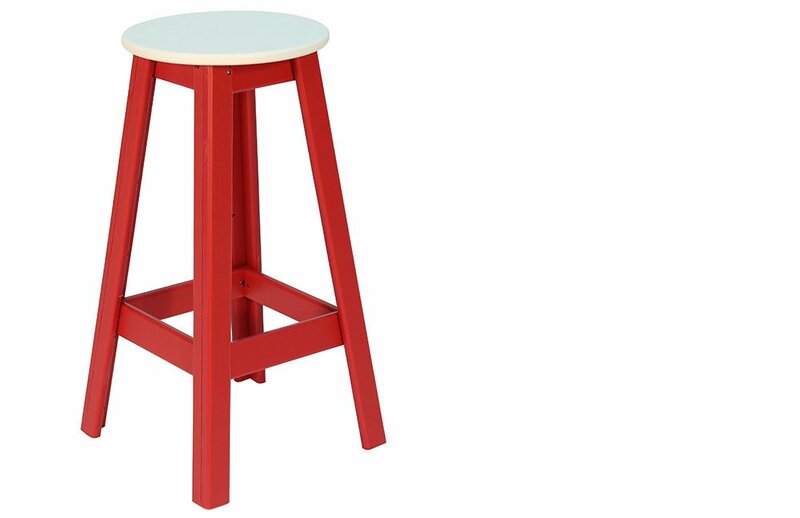 Bar stool made from all solid plastic. Custom color options. Goes with bar. 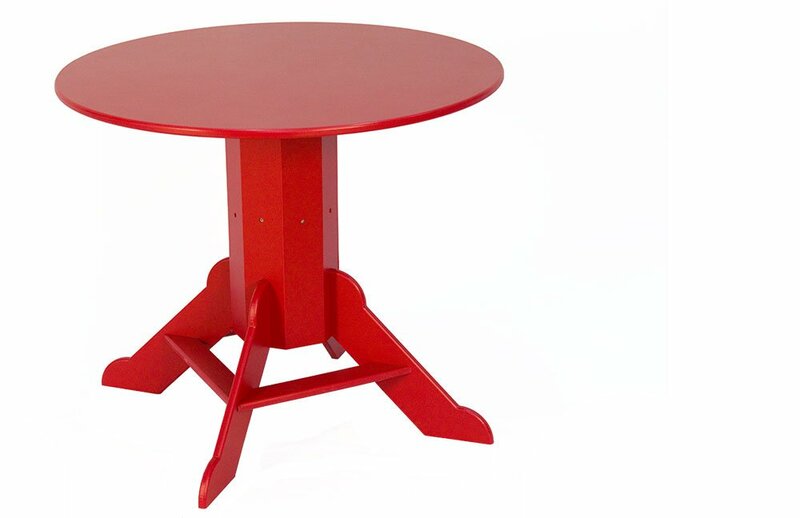 Pedestal table made from recycled plastic. 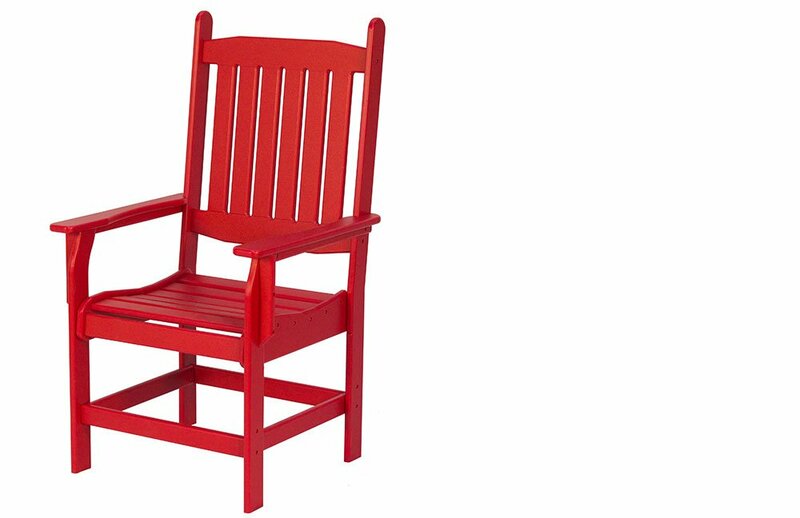 Pub chair goes with Bar or Pedestal Table. 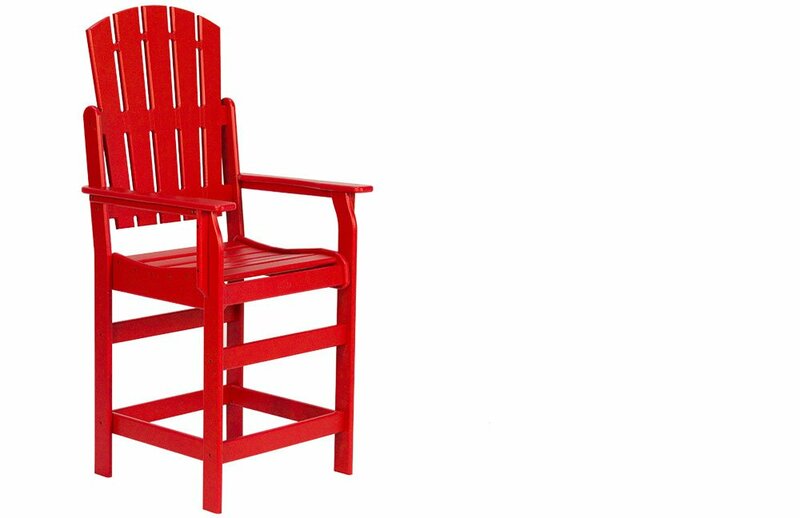 It is available in Mission or Muskoka back styles. 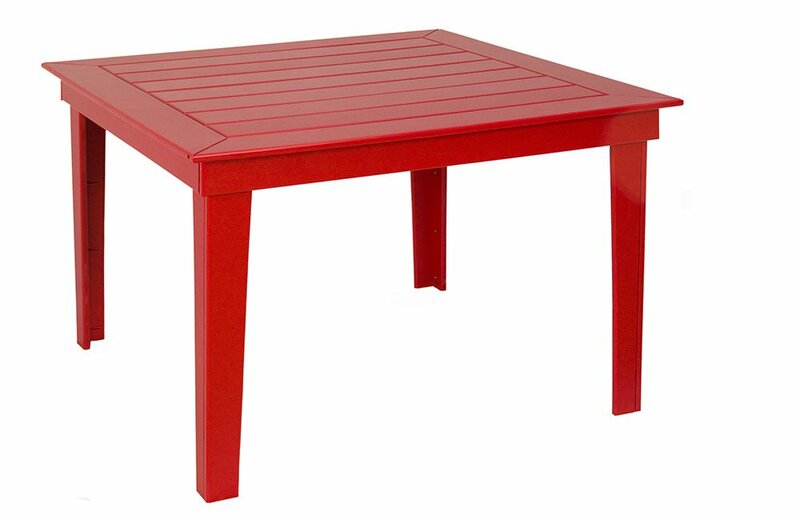 48" square dining table. Slatted top for easy drainage. Available in custom sizes.